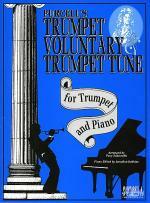 Trumpet Tune from Voluntary in D by S. Drummond Wolff. 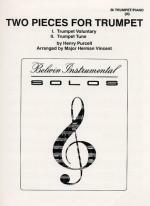 For Organ or Piano, Trumpet. Occasion: Marriage. Sacred. Moderately Easy to Moderately Difficult. 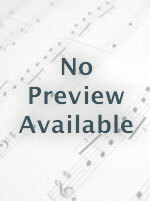 Published by MorningStar Music Publishers - Digital Sheet Music (MQ.20-925-1E). 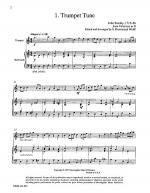 From the collection Three Baroque Trumpet Tunes. Upbeat. 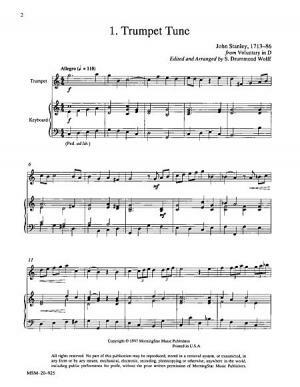 Includes: Trumpet Tune from Voluntary in D by John Stanley Trumpet Tune from First Voluntary in D by William Boyce Trumpet Tune from Concerto in D (Con Tromba) by Guiseppi TorelliTrumpet (M-MD); Keyboard (ME-M).